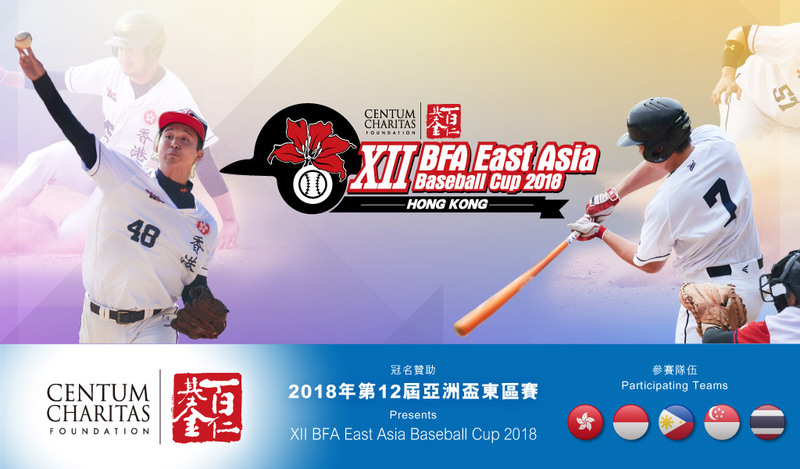 Five teams will participate of the XII BFA East Asia Baseball Cup, starting on Sunday. World No. 36 Philippines, No. 42 Indonesia, No. 56 Thailand and No. 67 Singapore will fight to earn the only available spot for the Asian Championship 2019, while No. 41 Hong Kong has already qualified for being the host of the tournament. This event marks the beginning of the Asian baseball road to Tokyo 2020, since next year’s Asian Championship will serve as a qualifier for the Final Qualification event for the Olympic Games Tokyo 2020. The five teams will play a single round robin, with the best nation in the tournament advancing to next year’s continental event (should Hong Kong win the event, the 2nd Place finisher would be granted the spot), which also will serve as a qualifier for the WBSC U23 Baseball World Cup 2020. The games will be live-streamed through Hong Kong Baseball Association YouTube channel. The event will be held at the Sai Tso Wan Recreation Ground Baseball Field, in Hong Kong, from 24-28 June. Tickets for the event are available in the tournament’s website. You can see the complete schedule as below.